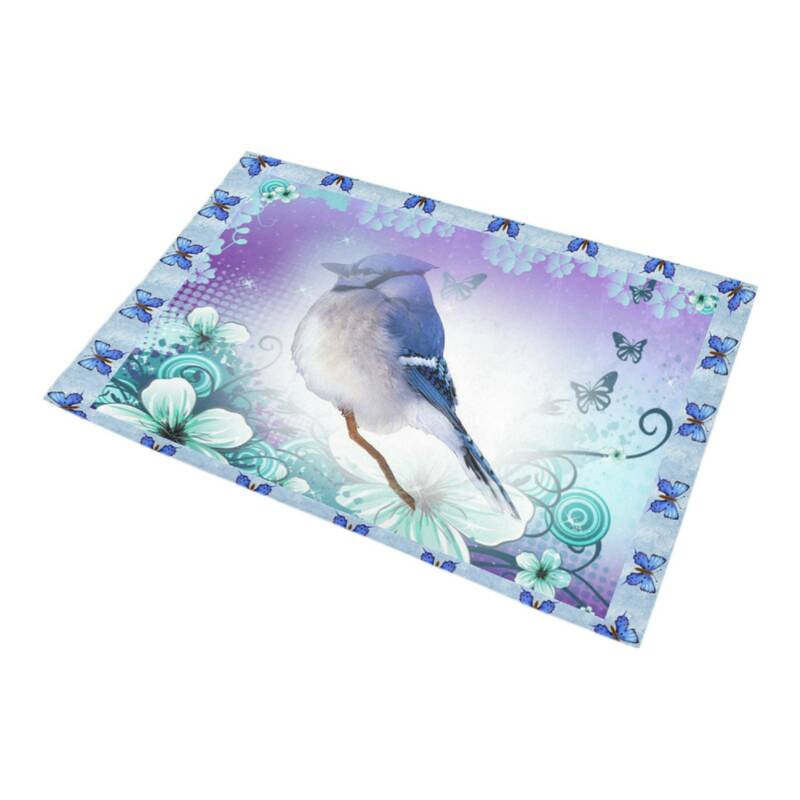 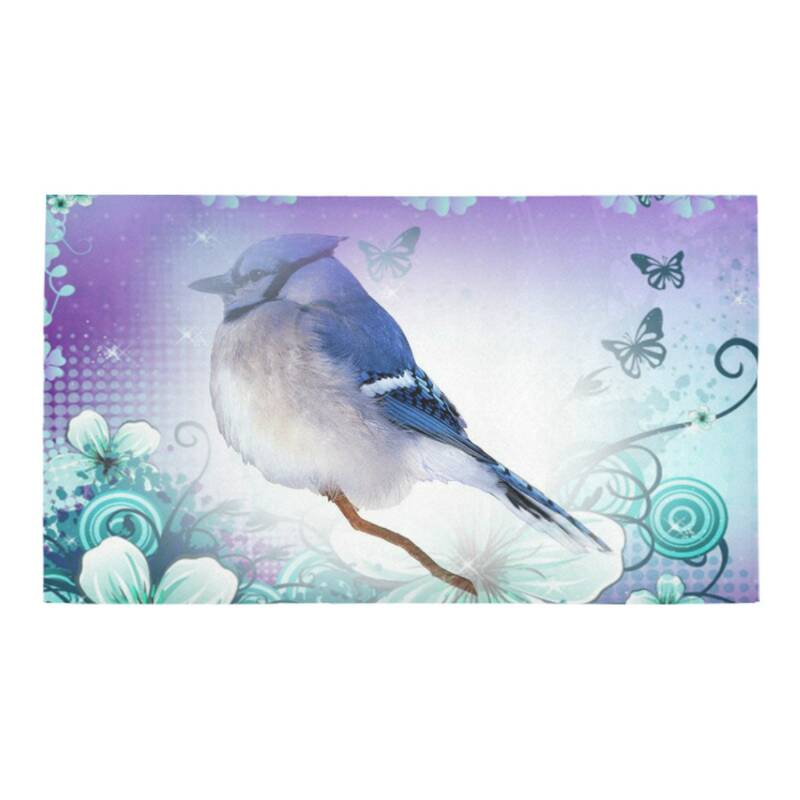 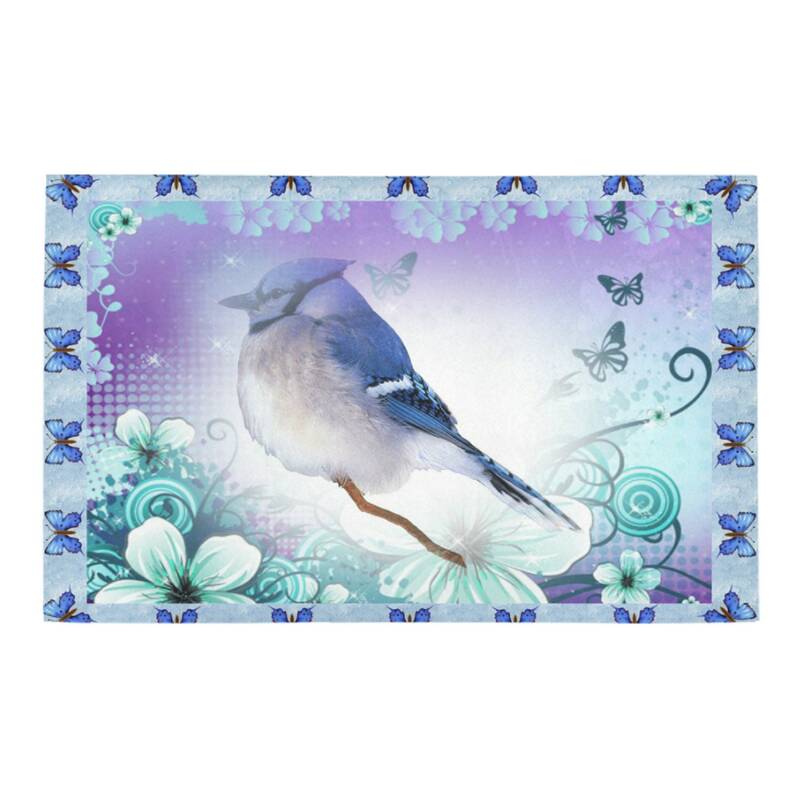 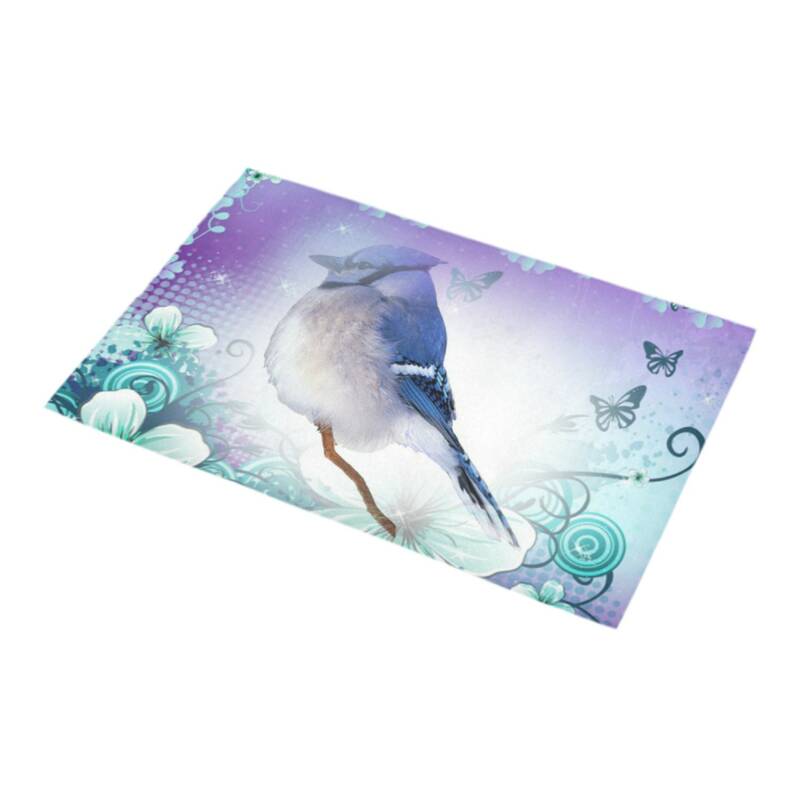 Two sizes blue jay bath mats. 20" x 32" and 16" x 24"
Made of sponge and non-woven fabrics. 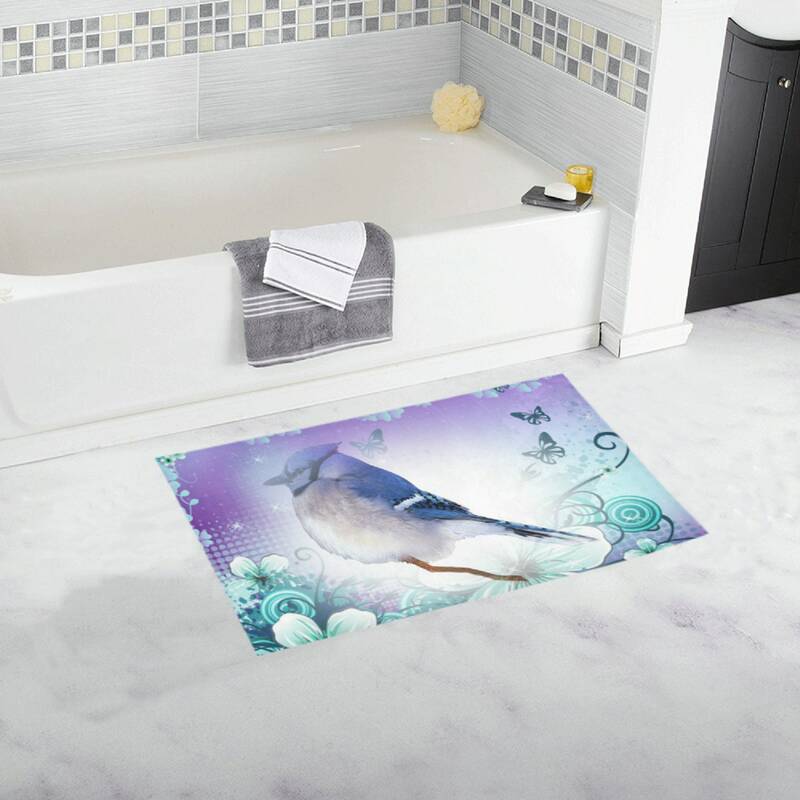 Towel like feel, soft and fast dry.